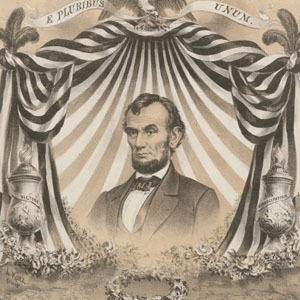 Includes full length lithographed portrait of Lincoln by L.N. Rosenthal, Philadelphia. "Composed and respectfully dedicated to Hon. Stephen A. Douglas"--Cover.